Question: After one egg is laid, how soon will she lay the next one? Answer: In peregrines the physical process that produces an egg takes about 48 hours, though it can take more than 72 hours. Basically, a new egg every other day until the clutch is complete. 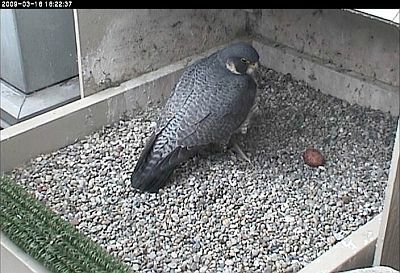 The female peregrine won’t start incubating until she lays her next-to-last egg. Only she knows which egg is her next-to-last.